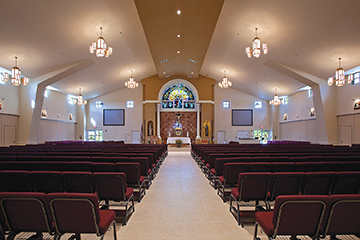 Building committee members and church leaders often face a dilemma when developing building plans for church facilities. Planning should begin by addressing two fundamental questions: What’s the mission for the church? And What type of facility is needed to support the mission? However, the answers to these two questions often lead to several practical concerns — funding, priorities, and how plans will accommodate future growth and expansion. Often, the long-range vision must be put into phases based on budget and priorities. Ultimately, these decisions will have an impact on the long-term success of the church. With that in mind, church leaders must use judgement and planning in developing the best direction for their membership. If you are involved in the building decisions for your church, here are some recommendations to include in your facility planning. Finding the right place to build is critical. Often, the options might be limited because the congregation cannot afford property, or the ideal location is not currently available. If this is the case, a congregation might choose to lease space. While considered a temporary solution, leasing allows time to raise funds and to find the right property. Keep in mind, leasing might have risks. Issues including cost of rent, renewal options and maintenance are important to understand prior to signing any lease. To ensure that the terms of the lease are acceptable, the church should have its own attorney review the lease before signing. Once property has been acquired by the church, serious planning can begin. Issues about drainage, access to utility services, and traffic flow need to be considered before any final decisions regarding building can be made. Landscape architects should be included on the planning team to provide insight to options. Before starting any building plans, planners must address issues for easements and boundary requirements. Failure to understand these issues from the beginning could complicate building options in the future. Planning needs to be based on the long-range vision, starting with the current space needed for church services and church activities, but then asking, What’s next? Will there be a school? Community outreach resources? Can the sanctuary be expanded? What about playgrounds and parking? Each of these questions (and dozens of others) will need to be asked and answered as completely as possible early in the process. Once the answers are available, priorities can set the course for building. Multi-purpose space. This approach has become quite popular, especially for new congregations. It includes open floor plans with temporary seating. These multi-purpose facilities can use moveable “air walls” to reconfigure interior space. When this approach is chosen, thought must be given to what building material makes sense when future additions are made. Also, locating the building to minimize the impact on parking areas, playgrounds and mechanical systems is a good way to reduce costs when future construction occurs. Building with a planned expansion. In many cases, the architectural plans can be created to include future phases. While this might increase initial costs, it’s the best way to keep a consistent vision for the long-term concept. Further, with future phases planned at the outset, decisions about materials, plumbing service, and other building issues can be made to reduce both initial and future construction cost. One final tip when planning any construction project is to have a qualified building team. 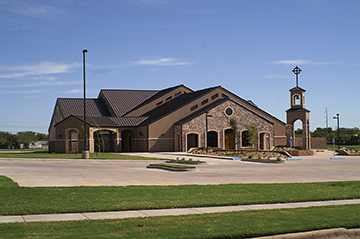 Today, more churches are using a design / build agreement for their project. This approach minimizes confusion, reduces cost, and speeds up the process by working with a general contractor as a single point of contact. The contractor assembles the team members, including architects, suppliers and subcontractors. The GC is responsible to meet the contract terms, including price, schedule and craftsmanship. Jim Peckham is Manager of Marketing for Memphis-based Varco Pruden Buildings, a division of BlueScope Buildings North America, Inc. Varco Pruden markets its products through a network of more than 1,000 authorized builders within the United States and Canada.